As two Scots roamed through the bush around Lismore early in 1904, one of them, J. Macgregor Dunn, said to A. G. Robertson, "Jock, I think we should have a bowling green in Lismore." It brought the laconic reply, "a good idea". These were the actual words spoken between the two greatest pioneers of the game on the Northern Rivers, and it was from this beginning that bowls began on the North Coast of New South Wales. At the time, Lismore was a growing town of some 6,000 people, and was already becom­ing well known for its dairy industry. The railway linking Lismore and Tweed had been completed ten years previously, gas had been connected, water works established and sewerage was to be installed two years later. All this was before the advent of motor cars, the only means of transport was by horse-drawn vehicles and the only public transport in Lismore was by one-horse cab, a fact that was to influence the life of the bowl­ing club. The Club was originally built in Hunter Street, below the present Base Hospital, by the Caledonian Society, it was opened in 1907. Thus, the Caledonian Bowling Club came into existence on September 3, 1907, with the following foundation office-bearers, President, J. Macgregor Dunn; Vice-presidents, S. McLean and J. Jolly; Hon. Secretary, A. G. Robertson; Hon. Treasurer, S. Clark; Committee, T. Bolton, T. Hewett, W. Lane, D. Mason, G. Maxwell. Other foundation members included C. Syer, F. Lance, W. Morris, R.White. However, the following year the bowlers bought it out at a cost of 425 pounds. 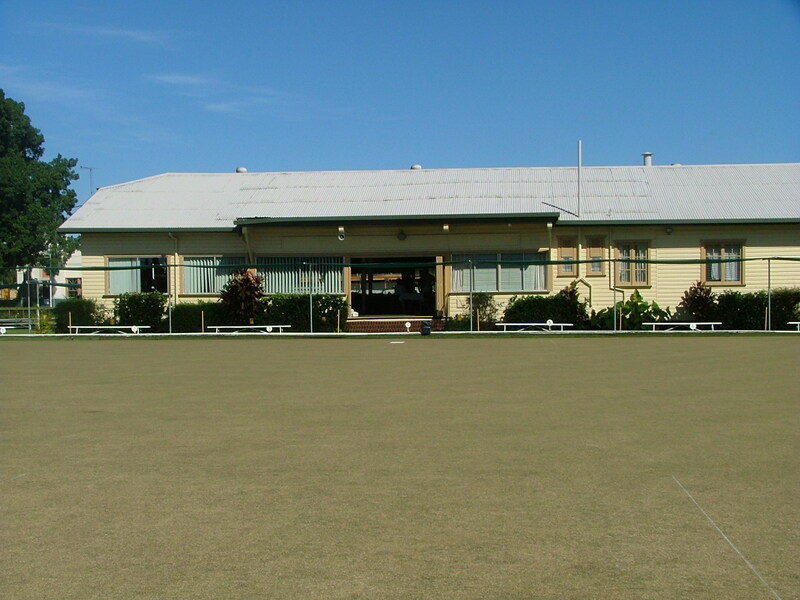 The Club was renamed Lismore Bowling Club. se­cure a block of land in Spinks Park near the town centre. The club raised bonds to build the new green and clubhouse by selling one thousand one pound debenture shares. The site was a rubbish tip, and adjoining it was the Lismore cattle sale yards, hardly an appropriate site for a bowls club. Just when the green on the new site was ready for play, the attrac­tive lawn proved too much for a mob of horses in the sale yards. They broke in and had a marvellous time on the rinks. The new facility was opened on April 30, 1916. The clubhouse and green as they were in 1916. The picturesque Richmond River is on the right. Just prior to that, in 1915, the Di­rectors had moved to have female members admitted to the club. This was accepted but it appears it was not taken up by the women. It was a much different story in the 1950s when a similar motion blew up into a bitter factional fight, and after several years of heated debate and tied votes, it was finally carried in 1957. The club is rich in history and traditions. The front gate of the clubhouse is known as the Victorian's Gate, as it was donated by a team from Victoria in appreciation of the hospitality af­forded them. The flagpole of the club was a ship's mast, donated by Captain Gordon, of the North Coast run. When members' attention is re­quired, a tug on the bell of the S.S. Tomki soon commands order. The Club has always encouraged visits from Sydney clubs and interstate teams. As far back as 1908, one year after launching, it played host to the NSW State side, which travelled to Lismore by coastal steam­er. In 1932, it chartered a plane to visit Ipswich in Queensland. One of the pioneers of Australian com­mercial aviation, Keith Virtue, was the pilot. 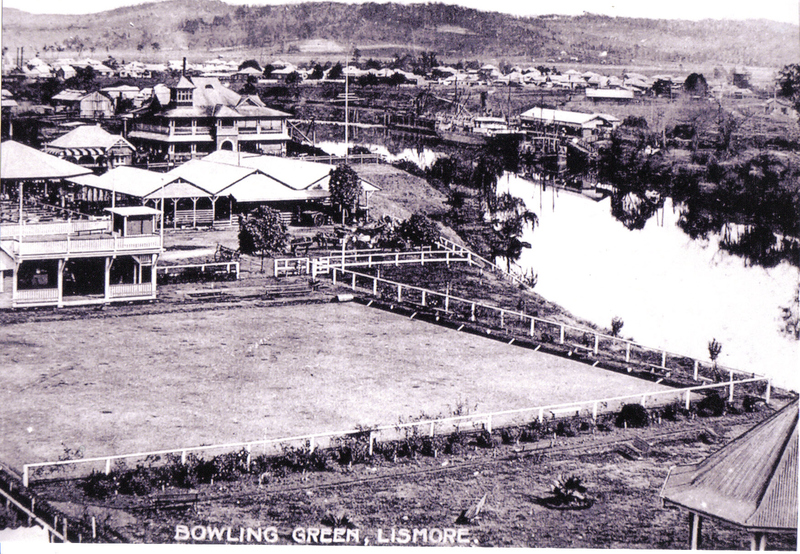 As other clubs were started around Lismore in March 1948 the name was changed to Lismore City Bowling Club. For years the club pottered along, just being "that little old club down on the river" but with the introduction of poker machines into pubs and the demise of HIH Insurance the financial situation took a turn for the worse. In fact, the club was advised to shut its doors but the committee of the time, with the help of members rallying to the cause, averted this disaster. Friday night bingo was introduced, then came morning bingo on Mondays and Thursdays, which not only encouraged an influx of Social Members but increased revenue as well. Then followed an increase in Women Bowlers who, in turn, encouraged their husbands to join and thus the club was on a stable footing again. ClubsNSW also played a large part in this turnaround by allotting grants for improvements to the club's facilities. In many ways, time has passed by this club. It has none of the neon, chrome and glitter of modern clubhouses. But it has some things from the past that new clubs cannot match - cordial­ity of welcome, friendliness and the common graces associated with gentlemanly behaviour. Its members pride themselves in maintaining the traditions of the oldest club in the north. It has been said that by reaching the grand old age of one hundred or more, you have reached the ultimate but, for us, the Lismore City Bowling Club, it is only the beginning of the next one hundred years! I wonder what the next 100 years will bring to the friendly Club of the Northern Rivers?